After the jury announced they were deadlocked, the comedian’s defense team immediately made a motion for mistrial. Judge Steven O’Neill overruled it, instructing the jury to return to deliberations. No one at the Montgomery County Courthouse seemed surprised by the morning’s latest announcement. The evidence the jury has asked to review during deliberations seems to point to a split among jurors, and what could conceivably signal a heated debate taking place behind closed doors. At this point, the jury could come back with a partial verdict or no verdict on any of the three felony indecent sexual-assault charges Cosby faces. This mean the jury could return a verdict on one (or some) of the charges, but not all of them. What they ultimately decide in hours, days, or weeks could dictate whether there will be a retrial on any of the charges or whether the remaining charges would be dropped. Right now, the jury is wrestling with three different charges against the entertainer. Count one and two in the case deal with “lack of consent,” and specifically whether Constand was in a state of unconsciousness when she says Cosby sexually assaulted her. The third count goes to intent, or whether Cosby intentionally administered an intoxicant to Constand that night in his home. A partial verdict of guilt on any of these charges could mean that the prosecution may or may not opt to retry the remaining charges. It’s likely the prosecution would take a poll of the jury to find out how split they are before making any decision about retrial, and any deadlocked charges could be withdrawn. Another scenario is this: If there’s a not-guilty verdict on any of the charges, the defense would likely have the verdict or verdicts recorded to protect Cosby from double jeopardy. This simple means that he would not be able to be retried on these same charges. But because this is a criminal trial, any verdict (or a mistrial) would likely not have much of an impact on impending civil suits, including the one Cosby is facing in California later this month. 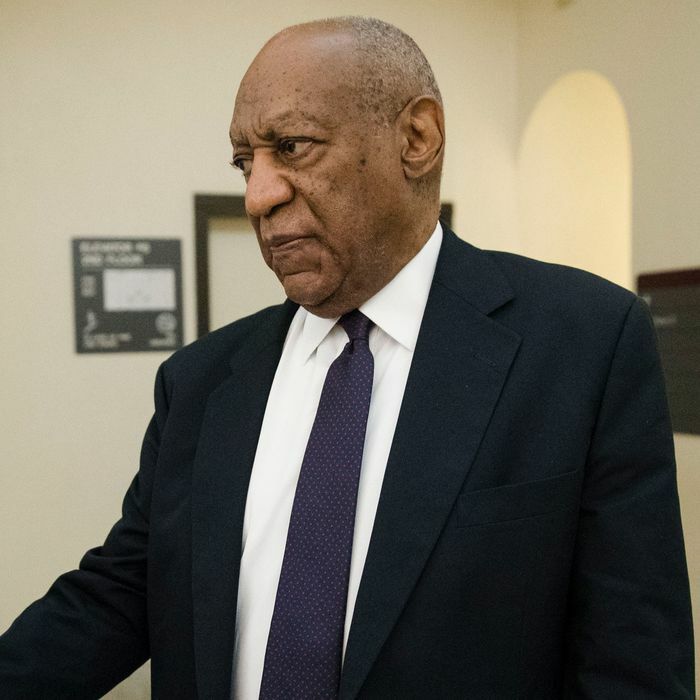 Cosby, best known for playing Dr. Heathcliff Huxtable on The Cosby Show, has been present throughout the jury deliberations. When the court heard the jury was deadlocked today, the comedian sat quietly beside his legal team, showing very little reaction.